My maternity style has really not changed that much from the normal. Luckily I have not had to buy a ton of maternity clothing just yet. I am a big fan of loose fitting or oversized tops so I have been able to still wear some of those as I enter my third trimester. 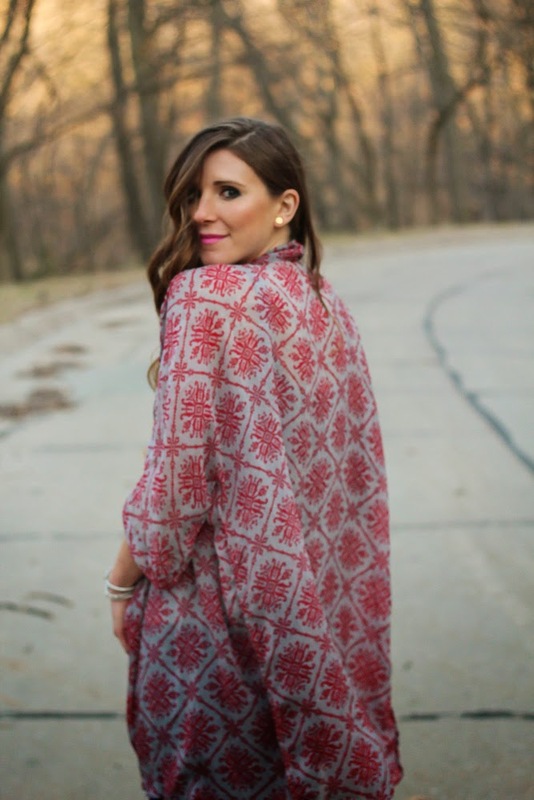 The one article of clothing in my closet that I won’t grow out of is Kimonos. I have always loved them. They are so comfortable and easy to style. They pair so easily with jeans or cutoffs and I even love using them as swim cover-ups. Now that I am pregnant, I appreciate them even more. 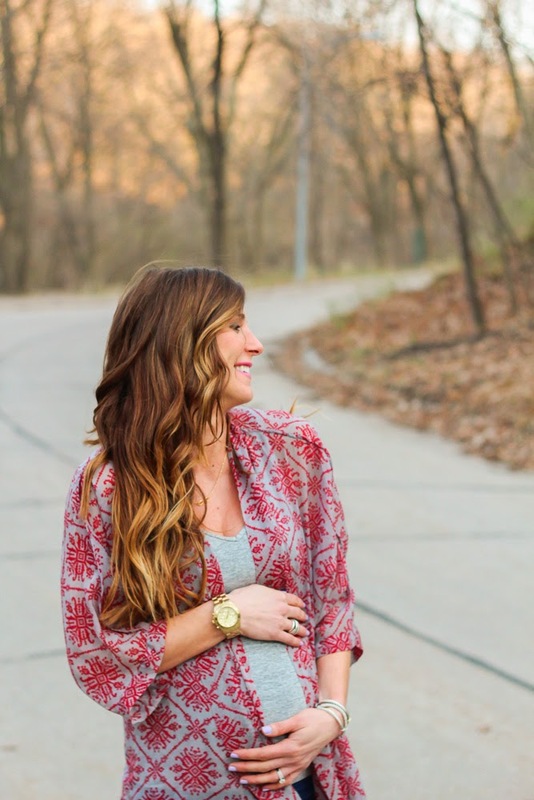 They fit regardless of how much my bump grows and add that pretty, feminine touch to any outfit. Shop below some of my favorite prints for the Spring/Summer. Girl you are gorgeous! Keep rocking that bump!!! 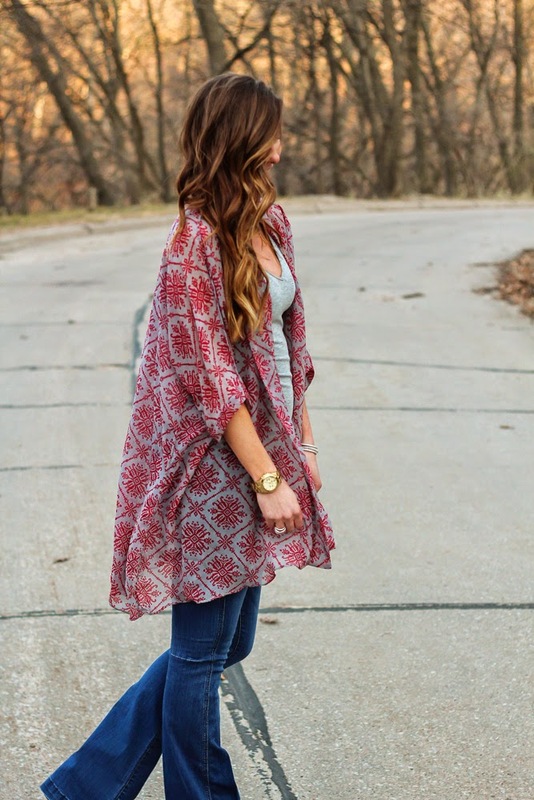 Love the kimono on you! 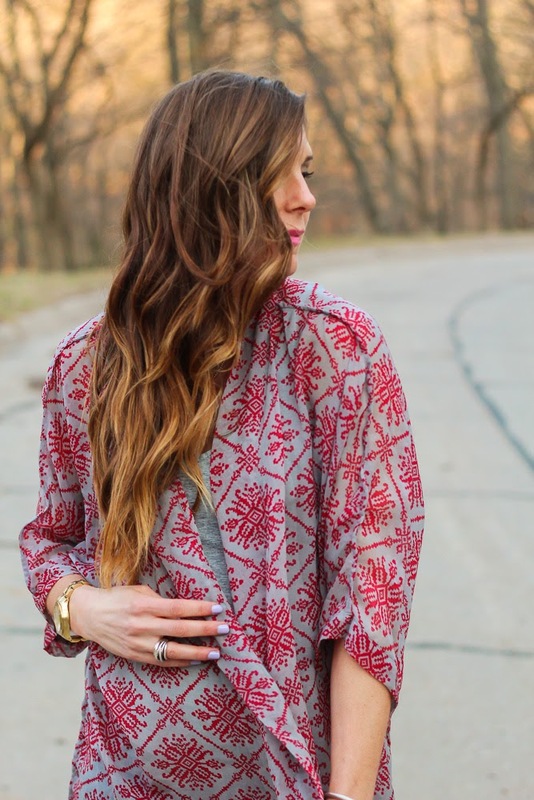 That kimono is so pretty on you! And you hair looks gorgeous here!! 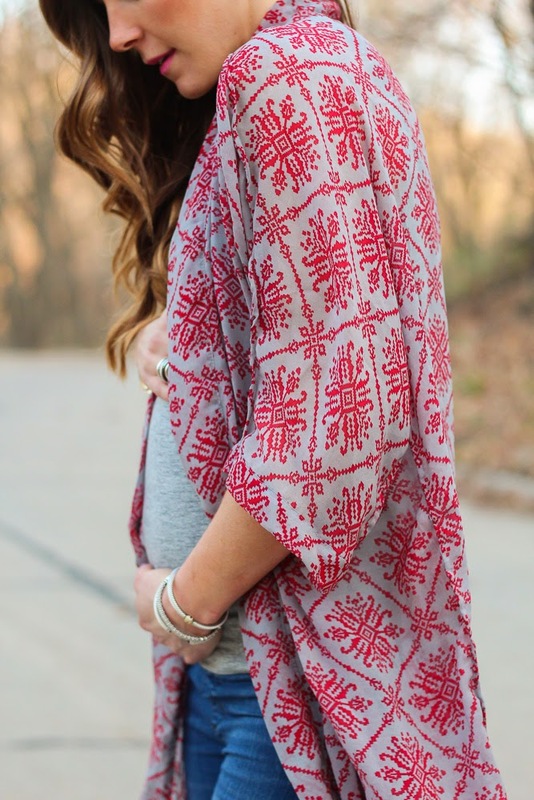 I am obsessed with kimonos lately and how perfect are they with a little bump?! You look amazing! ^^ I'm with Niki, I absolutely love kimonos! Your baby bump is too cute! So cute. I was never into kimonos but you've made me change my mind, you are adorable.